Loc: De Groene Ster, Groningerstraatweg, Leeuwarden, Netherlands. Before Psy-Fi festival opens its gates, hundreds of artists have been working hard to decorate the festival area for you. A big part of the decoration has been specially made for this festival by teams from all over the world, as well as the content you see in all the projections and laser shows. We recycle almost everything from the last editions and use it for the new one. Soon we will post here all of the artist that will transform the land into the psychedelic dream landscape we call Psy-Fi. We have two campsites, A Northside and a Southside camping. Both camp sites are open from the 13th of August 12:00h until the 21st of August 12:00h. So more than one whole week to enjoy the nature surrounding the festival! See you there ! The biggest part of the campsite is in the forest. Another part is on grass planes along the water side and another is on parking lots surrounded by grass to camp on. We would like to make the camping experience more chilled for everyone. This means less vehicles on the campsite so there is more space to walk around, camp comfortably and nature does not look like a car park. We also need the space for our services, such as cleaning the toilets. There are 80 hot and cold showers in total on a central spot on the campsites. About 50 flushing toilets and 300 eco dixie toilets are spread around the area, they are cleaned twice a day. There are also several water points where you can get free drinking water. Electrical charging points can be found on the festival terrain and in the info shop, free of charge. De Groene Ster, Groningerstraatweg, Leeuwarden, Netherlands. 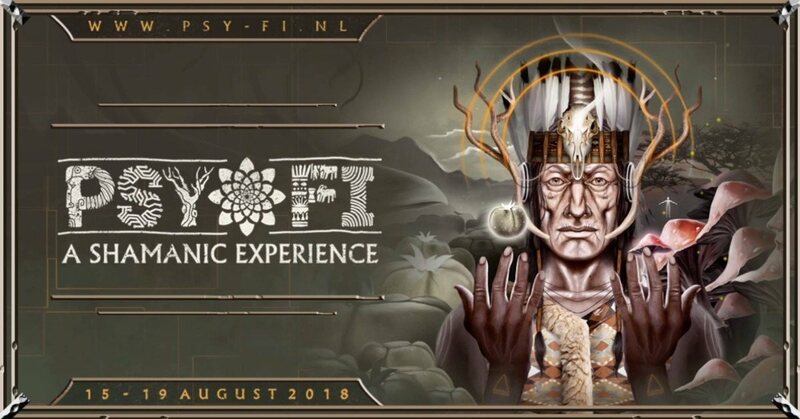 Please do understand that this means that Psy-Fi 2018 will be sold out faster than ever before, as we have never sold under 13.000 tickets in the past. We wish everyone a great festival and look forward to see you all again in August! ​**Please keep in mind that when you decide to come with a mobile home you are required to purchase a separate ticket for that. Mobile home tickets are sold out at the moment. We are trying to get more space. More info about that asap. ***Do not buy tickets from people that you don't know, especially not online. -Buy your “Hungarian ticket” These tickets are name bound, meaning you can only buy one ticket at a time and the correct name needs to be on the ticket. There are max. 500 tickets available. Remember to bring your Hungarian passport to the festival, you need to identify yourself with it at the gates. The name on your passport has to match with the name on your ticket. Kids under the age of 12 can come in for free, all tickets include free camping. ​We wish all of you a great festival experience and look forward to see you in August! We are one global family All Colours, all Races, one world united. We dance for peace and the healing of our planet earth, peace for all nations, peace for our communities and peace within ourselves. As we join all dance floors across the world, let us connect Heart to heart Through our diversity we recognize unity.